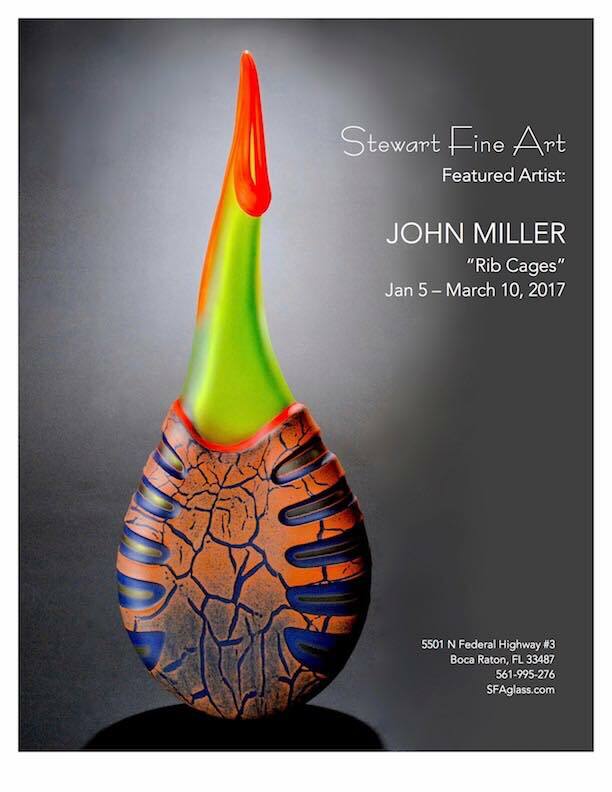 Stewart Fine Art, Boca Raton, Florida, is a contemporary glass art gallery representing the finest established and emerging studio glass artists. 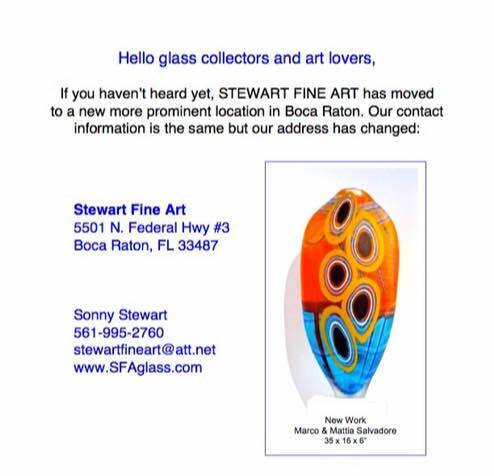 Stewart Fine Art is well known to the people in South Florida for providing unique and beautiful collections of artwork. Conveniently located off of North Federal Highway in Boca Raton, Stewart Fine Art has excelled in serving the people of Southern Florida with timeless works of art made by local artists. The owner Sonny Stewart opened Stewart Fine Art back in 2009 after working as the director of Gallery Camino Real in Boca Raton for ten years, and one of the top sales and commission coordinators at Habatat Gallery Florida for about five. 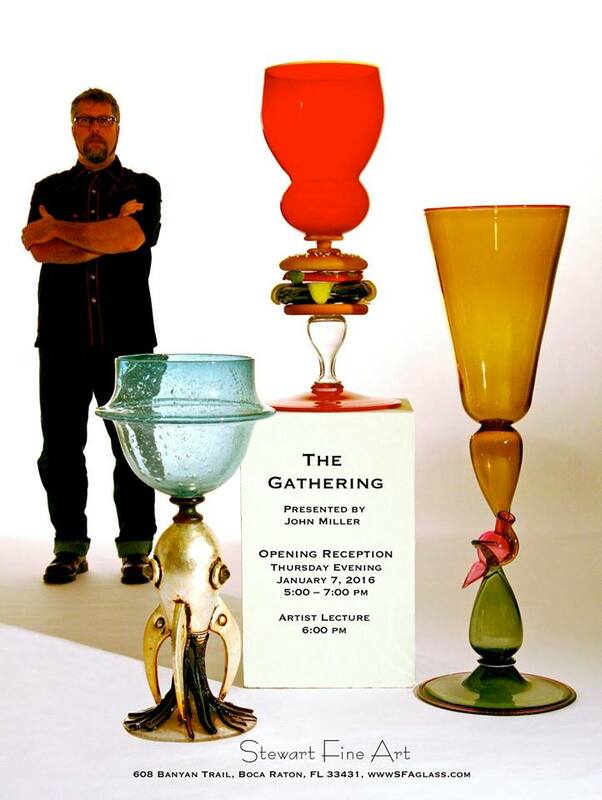 Sonny Stewart has been selling Fine Art to perceptive and critical collectors for over twenty years. 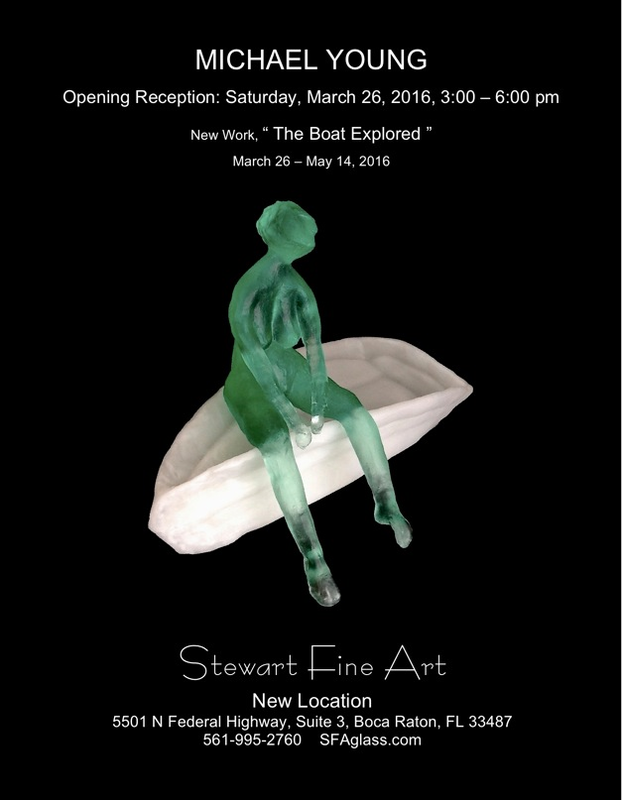 Since the opening, Stewart Fine Art has continued capturing the eyes and hearts of Fine Art collectors all around. Stewart Fine Art is perfect for supporting local artists all while finding that perfect new piece to be the center of attention at your next gathering. Stewart Fine Art features artwork from over 50 different artists, all unique and beautiful in their own way. Call us and ask about our showing schedules. If you're looking for a place that sells a plethora of fine arts and also handles installation of your next major piece, Stewart Fine Art is the perfect place for you. Stewart Fine Art is always happy to answer any questions you might have about any piece of artwork. All you have to do is ask! Stewart Fine Art has plenty of parking so our guests can come and ponder as long as they'd like. Our gallery always clean, and provides the perfect atmosphere for letting your next piece speak to you. Stewart Fine Art offers great prices for the beautiful detail and a variety styles! Stewart Fine Art accepts all major credit cards making our services hassle-free. Come in and fall in love with your next piece of fine art today! 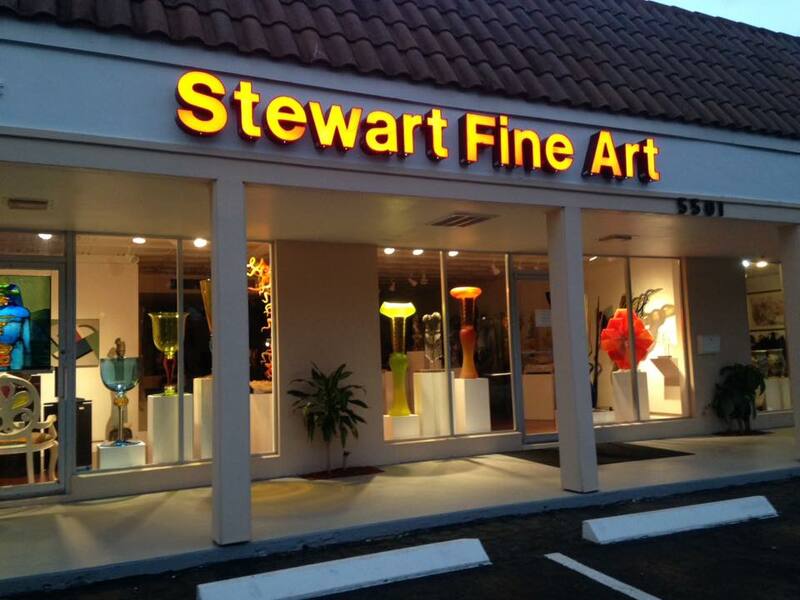 Stewart Fine Art is located at 5501 North Federal Highway. Boca Raton, Florida US. Stewart Fine Art is a Gallery type of establishment. Come on by or give us a call during business hours if you have questions (561) 995-2760. This site for Stewart Fine Art was made to enhance this client's Internet presence and grow the WebPage Depot online business directory. WebPage Depot is designed for local directories and a exhustive business directory. This free business listing site provides a fully functional website. The WebPage Depot site blends seven social media accounts (if available), google maps, large pictures, a contact us page (protecting the client's email address), a link to the client's original website and relevant Youtube videos. Additionally, we write an original text Welcome Message. WebPage Depot does make some assumptions, trustingly, for the benefit of the client. We write everything from a positive viewpoint. Our goal is to boost the visibility/ranking on this site to the highest level possible. Improvements to ranking come with additional relevant content. To continue this effort, we will need news from the client, i.e., menus/list of services, specials, current pictures and videos and additional text for the Welcome Message.